On The Marquee: The Full Monty! 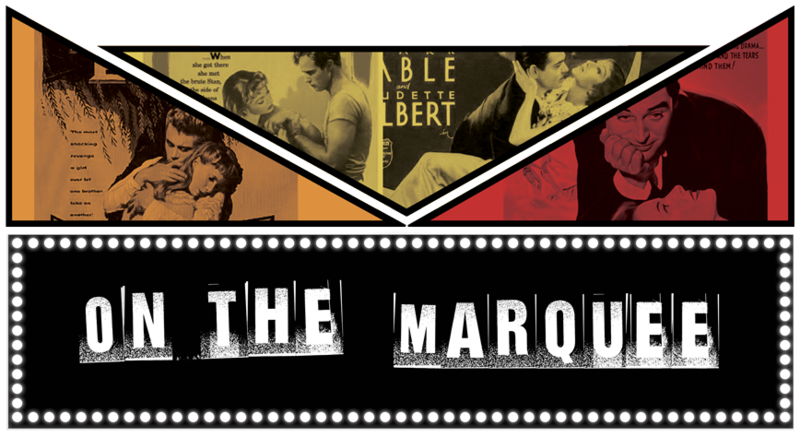 Starting last Thursday and all through this month, BAMcinématek is running a Montgomery Clift retrospective. I like to think of Clift as the actor who showed the world how brooding was done. (Wannabe brooders like Robert Pattinson take note.) In his films, Monty perfected the silent sulk, the inner turmoil, the just-below-the-surface panic and despair of a brooding hero, in a way that sets you on edge. “When is he finally going to explode?” you keep thinking. 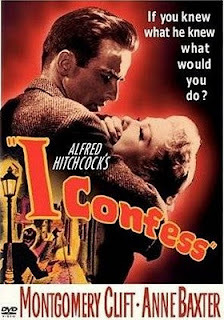 No better evidence of this is found than in Alfred Hitchcock’s supremely underrated I Confess – the film I moseyed on down to Brooklyn this weekend to watch, with my mom (the biggest Clift-fan I know) and sister in tow. Just how under the radar is this film, you ask? I had no idea Hitchcock even directed it until the credits started to role. You’ll never hear it spoken about in the same breath as Psycho, Rear Window and Vertigo, but all the makings of a Hitchcock classic are there. From his camerawork (a lot of back-of-the-head shots and foreboding cathedral angles) to the interesting location (Quebec) to the story of murder, religion and scandalous intrigue. Clift plays conflicted priest Fr. Michael Logan, who receives a confession of murder, yet cannot break his vows to speak of it. Things get complicated when Fr. Logan himself gets implicated in the murder. Turns out, he may have had quite the motive – one that involves a married woman (Anne Baxter). Does he go against his religion and talk? Or will he go to the grave for a crime he didn’t commit? Chock-full of great stuff, I tell ya. 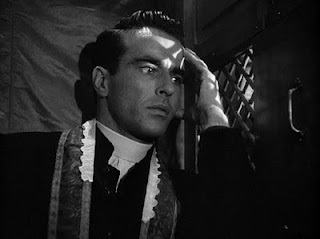 Including a sly performance by Karl Malden as the investigator determined to bring Fr. Logan to justice. Clift – like many of the characters he played – led a conflicted life. The actor battled alcoholism, drug abuse, his closeted homosexuality, and later in life, a nasty car accident that permanently altered his good looks. Marilyn Monroe once described him as "the only person I know who is in worse shape than I am." But thanks to films like I Confess, and showcases like the one at BAM, we’re able to see Monty immortalized in peak cinematic condition. I sometimes forget about this film and I don't know - because it's great! I love the way Hitchcock features the locations he is filming in, and in this case, the way he showcased Quebec. Yes! Definitely, me too. Such an underappreciated gem!